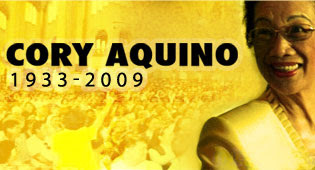 We just saw on TV via TFC that the former President Cory passed away this afternoon eastern time at 3:18 p.m. (3:18 a.m. Saturday early morning Philippine time). Her family and close friends were at her bedside on her last breath praying the sorrowful mystery of the holy rosary. She lost her battle to stage 4 colon cancer at the age of 76. Our prayers to the Aquino family. May her soul rest in peace. Finally my best friend from college was able to get in touch with me through one of the social networking groups. We lost communication when she moved to Canada two years ago. When I saw the picture she posted online, I was so happy to see that she is pregnant with their first baby. She is due this coming September and she is inviting me to her baby shower on August 30th. As a baby shower gift to her, I and some of our common friends here are planning to give her a cryo-cell enrollment for umbilical cord blood banking. We think that this is something that her hhild and her family can benefit. Nothing is more important than having health security and protection for the baby. Cryo-Cell is one of the leading family cord blood banks that have received quality accreditations worldwide. The process involved is the preservation of the newborn’s umbilical cord blood through Cryo-Celle for potential use in the future to treat many diseases. At present, u-cord blood stem cells are known to have treated more than 75 diseases and used in over 12,000 transplants worldwide. The preservation is done by Cryo-cell at their state of the art laboratories. We are taking advantage of Cryo-Cell’s exclusive premium family service called “Protect Baby, Protect Mom” where you get a special pricing when you use this promotional code 995PS by midnight of July 31st. For this promotion, you will receive a special UCORD price of $995 for processing, testing and first year of storage plus the cancellation fee is waived. Or, if you want to enroll in the Signature UCORD service and Exclusive C’elle service, the price is only $1299 by using the promo code P2PS. So if you know someone who is expecting a child, this is one best gift you can give to the family. Sign up now to avail of these huge discounts. Remember the sale ends on July 31st. Take a look at madonna’s arm? Is this the result of the working out for two hours a day, six days a week? 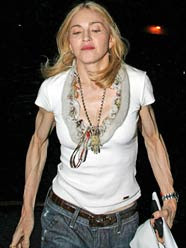 Madonna now 50 has a strict diet, banning almost everything. This photo was taken last July 26 showing Madonna’s arm so lean and very muscular. These are ugly muscles!!! Just in time for the opening of school, Charter Communications is running a contest from July 15 to September 15 called Charter’s Back2School Laptop-a-Day Sweepstakes. Charter Communications is one of the leading providers of high speed internet, cable and phone services nationwide. Every year they are having an online contest for their customers with huge prizes. This Laptop-a-Day Sweepstakes is a follow up of their successful HDTV-A-Day Sweepstakes plus last year they also gave laptops too, Xbox 360 game systems and one 2009 Honda Civic Hybrid went to one lucky customer. Please do not miss this one specially students and business people that are always on the go; that needs a laptop to have easy access to internet anywhere. There will be one winner every day and the lucky one will get an HP 550 Notebook with 15 inch screen loaded with Windows Vista and a NeoTee Compu Backpack. Watch out also for other online deals where you can get free gift cards from major retailers in clothing, home and accessories, restaurants and more. It is so easy to join this contest. All you have to do is to visit charter.com/laptop and register. If you want to get updated to any of Charter’s contest, you can add Charter on Facebook as one of your friends or follow Charter on Twitter. Not only that Charter provides good services to you, they always have big surprises to its customers. We are having a hot and steamy weather right now. The temperature is close to 90 degrees. It is brutal out there but I managed to walk for about 15 minutes during my lunch break. I always want to get dark during summer, the darker the better. Maybe I can get more sun after I get off from work today. The sun goes down around 8pm so there will be enough time for me. Are you shopping for your auto or truck parts? Do not waste your time anywhere else but go to carpartswarehouse.com for all your car or truck parts needs. They sell all kinds of car parts across the United States for any make or model with free shipping on all orders over $50. You cannot say that carpartswarehouse.com does not carry your the car parts you need because if they do not have the part they will do everything to find it for you. They want the best customer service for all their customers in terms quality, availability and customer satisfaction. All parts are under full warranty with the lowest price guaranteed. Carpartswarehouse.com is the only trusted online store for all your auto or truck parts. I took this picture when we went to Volkswagen Waterfest last weekend. Aren't these luggages so cool? You can spot them right away at the carousel when you are claiming your baggages at the airport. My husband says, these are perfect luggages if you own one of the colorful Volswagen beetle. I used to have a dog when I was still living by myself. I felt the need of having somebody inside the house while I am away working. I love my dog and she was very good even she is left the whole day by herself. I think she knows the time I come home every day that when it’s almost 6pm she would be by the door waiting at me. Before dinner time, I would walk her around the block and let her play with other dogs at the park. I treated my dog like a human being. I fed her; bring to the vet for her shots and regularly schedule her grooming appointment. I have my dog inside my house the whole day but the house did not have any of that stinky dog smell. Is your dog itching, scratching and stinking beyond belief? My dog does not do any of this and I do not want my dog to suffer and be miserable constantly. I make sure I give her the right food with the right nutrients to maintain her healthy skin and coat. I regularly buy her dog food supplies from Dinovite that includes the vital nutrients she needs. For her hair, I use dogosuds dog shampoo, also from dinovite making her smelling good with no stinky smell. With dogosuds, you do not have to bath your dog every day but still smelling fresh. It lathers beautifully but rinses easily. This is also good for sensitive skin containing 100% pure, therapeutic grade essential oils that have natural healing properties and also a flea detergent. Check out dinovite.com if you need something for your dog. They have a solution to every dog’s problem. Save money by using dinovite. 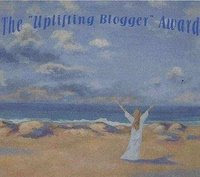 I have two awards from http://www.familyblogsa.blogspot.com/. Thank you very much and also for always visiting my site. She is a constant EC dropper too. More power to you. There are no rules on this one. Grab as you please and post them in your blogs too. Have a nice day everyone. I used to work as a counter and customer service person in one local bank here. There was a big transition from my usual ward robe of just plain jeans, t-shirts and jeans. Not only that, I learned how to apply makeup every morning which has become a daily routine. Learning how to apply make up was easy because I saw the instructional videos from Aesthetic VideoSource but finding the right shade for my complexion got difficult. I have to get the Asian makeup up to go with my skin type and color. I am dark skinned but the black makeup I have has been given away to a friend thinking that I will not be using it in the future. If you are interested in learning different make up techniques, get the new Professional Makeup Technique DVD series from videoshelf.com. I do my own make up now just by learning the techniques through videos. You can get a free pastry to go with your coffee or any beverage at Starbucks today, Tuesday, July 21, 2009 up to 10:30 a.m. only! 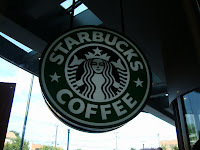 Starbacks has muffins, croissants, pound cake, cheese Danish, doughnuts, bagels, apple fritters, pies and a lot more. All their pastries are trans fat-free with no artificial dyes, sweeteners and high fructose corn syrup. Don’t forget to print this COUPON and present it to the barista to get your free pastry. REMEMBER: It’s is today, TUESDAY up to 10:30 a.m. ONLY!!! One reason why I love going to IKEA is to have an idea how to decorate, furnish or style your house. The displays inside the store oftentimes influence you in your shopping. I have taken some pictures. 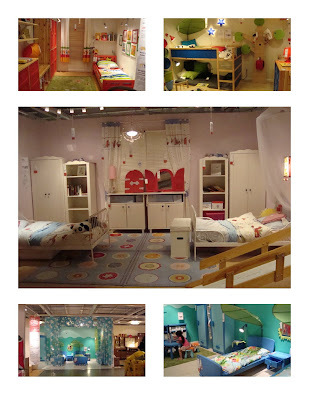 Take a look at the different styles of kid’s bedroom both for boys and girls. They are all beautiful. I prefer the first picture with red drawers but I will change the bed to a single or full size bed. Kids grow fast and in a year that little bed would be too small for my daughter. How about you? Which one you prefer? It is that time of year for the renewal of our health insurance. We are already expecting an increase in premium plus changes in coverage and deductibles. As workers, we are left with no choice but to take whatever it is. Who can afford healthcare these days without an insurance? If we get sick and hospitalized, our insurance takes the tab but there are cases that having an insurance is not enough to get better. Is there a cure for the disease? This will always be the bottom line. During our meeting with our health care provider today, a co-worker of mine asked about the importance of cord blood banking. It is a process that is being done by Cryo Cell International where the umbilical cord blood that is collected from the newborn’s umbilical cord to be frozen and safely stored at Cryo Cell’s cord blood bank. This umbilical cord blood is one source of cells used in cord blood transplants that is also used to treat more than 75 diseases such as leukemia, heart diseases, anemia and a lot more.Cryo-Cell International is one trusted family cord blood banks with over 175,000 family as members. They possessed the highest levels of quality certifications and accreditations in the industry. If you want more information about Cryr-Cell selection criteria, you can visit their website at cryo-cell.com to have a live chat or you can call one of Cryo-Cell’s nurses at 1800-786-7235. I am so happy that gas prices have been falling for the past days. Every day you see few cents decrease in the prices. Here in New Jersey, I see prices at $2.49 and the lowest at $2.21. I am driving a 3.7 van with a V6 engine and seeing the gas prices falling every day makes me smile. This does not always happen during summer. People who are dealing with a certain type of addiction are sometimes at a lost. To open is difficult; sometimes people are in denial of their addiction. 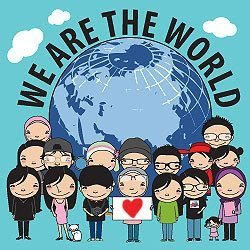 But, with InTheRooms , a global recovery community, everybody is welcome to reach out to people worldwide 24/7, to share their problems, thoughts, experiences, feelings, hopes and willingness to recover. The option is all yours; your privacy is one of their main concerns. You can pick where you think you need to join, either as someone who is seeking help, or one who is in recovery or you are a friend or family member of someone seeking recovery. InTheRooms will do their best to Help, Inform, Touch, Connect and Heal (HITCH) those who are experiencing any type of addiction. There is a new feature that has been added to InTheRooms recently. If you have Facebook, you can now add the InTheRooms Facebook App in your Facebook profile and start inviting your friends in recovery to the community. You can also add a box in your profile that will show how much time you have in recovery. If you want to protect your anonymity, you have the option of not publicly displaying a box on your Facebook profile. Joining InTheRooms is free. You can easily sign-up anytime at intherooms.com. Join and get healed. Yes, you read it right. Pet Airways is the first commercial airline for pets only. The owners are husband and wife Alysa Binder and Dan Wiesel who had a stressful experience when they flew in a cargo hold their Jack Russel terrier named Zoe. That experience convinced them to have an airline so that pet owners will have an option when they transport their pets from one city to another. So yesterday was the first flight for Pet Airways that took off from Republic Airport in Farmingdale, NY. Initially, Pet Airways will be flying between five major cities – New York, Washington, Chicago, Denver and Los Angeles. They are already booked for the next two months. One-way fare starts from $149, not too far what passenger airlines charge which is from $100 to $275 depending on the carrier. When flying with Pet Airways, your pets won’t be at the cargo section but in the main cabin of a Suburban Air freight plane, which was retooled and lined with carriers in place of seats. There will be about 50 pets in each flight and they will be escorted to the plane by attendants that will check them every 15 minutes during the flight. Your pets are also given pre-boarding walks and bathroom breaks. And, on every airport they are flying, pet airways created a “pet lounge” for future fliers to wait and sniff before flights. Pet Airways will be adding more flights and cities very soon. I am one very curious mom about this new pet airline. Something new and unique. Our next door neighbor is going on a vacation this coming week. We are going to babysit and walk their dog everyday while they are away. They have been our neighbors for seven years and the first one to welcome us on the first day we moved into this area. They love our daughter and sometimes Isabella would spend an afternoon with them at their backyard playing with Smooth, the dog. You know why she is called Smooth? It is because of her hair, so smooth and shiny. Our neighbor told us that Smooth used to smell so stinky, scratching and shedding her air like crazy. They have brought her to the vet but still she cannot stop scratching. Then, a fellow dog owner who goes to the same vet suggested to them to try using dogosuds from Dinovite. Actually, this person gave them a sample of the lavender dogosuds dog shampoo to try. My neighbor said that dogosuds lathers beautifully but rinses easily leaving the dog smelling so good. After using it, Smooth’s stinky smell was gone and the smell lasted for a long time. Her hair got shiny, making them change her name to Smooth. Is your dog itching, scratching and stinking beyond belief? Dogosuds is a dog shampoo that you can buy from dinovite.com. It cleans and leaves a wonderful smell on your dog and it is also a natural flea deterrent. It contains no chemicals or perfumes that can irritate your dog’s skin. They are available in four blends: essential oil blend, lavender, peppermint/tea tree and the unscented one. So if you have problems with your dog smell, try using dogosuds shampoo on her to give your pet that new dog smell. Other than furniture and household items, we go to Ikea to eat. Their Swedish meatballs paired with mashed potatoes with gravy and lingon berries on the side. 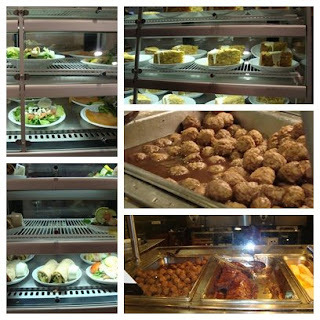 Besides meatballs, Ikea serves, breakfast, ribs, chicken and fries, wraps, desserts, soft ice cream, hotdogs and drinks. Don’t forget, there is more at the Swedish market shop. The prices are very reasonable, one meal will only coat you around $5 to $6. So next time when you go to Ikea, do not worry if you have not eaten yet, you will not get hungry at Ikea. I love IKEA, one of our favorite stores. Now that school is over, my daughter stays with her step sister at home. I know she misses me a lot and I feel bad that I have to leave her for work. Probably tomorrow I will bring her with me since I will not be staying the whole day at the office. There is one extra computer at my job so she can watch her favorite kids show such as Barney, Dora the explorer, blue’s clues, Disney channel, nick jr at Spreety TV Online. We can bring our kids as long as they do not interrupt your work but I was always hesitant because my daughter gets bored easily. My friend recommended to try Spreety TV Online : Watch TV Shows Online Free, where you can watch your favorite TV shows online legally. This is indeed a savior plus mommy can now watch her favorite reality TV shows during lunch break at work too. 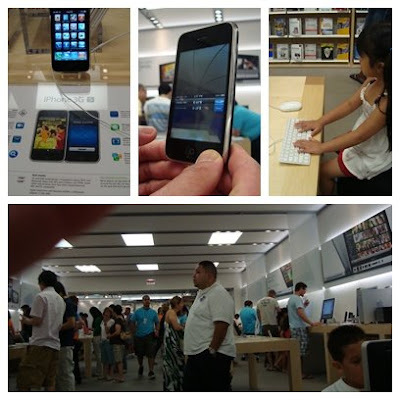 We went to the Apple Store again last July 4th to check the availability of the iphone 3Gs at the store. Still, the 16GB is out of stock but they have the 32GB available. To buy the 32GB instead would seem to be expensive for $299. That is already a price for two iphones: one 16GB 3Gs and one 3G. Apple rep just gave us a business card instructing us to give them a call to check availability. Hubby can wait. He still has his two year old Iphone (first generation). In the meantime, hubby checked their display while my daughter enjoyed playing games. I was cleaning my computer table over the weekend and I found phone cards, some are even unused but pass the expiration date. I already forget that I have bought those phone cards since I have not been using them anymore. This is the effect of embracing digital technology into our lives. I used to call my family back in the Philippines by using a phone card but this stopped when we subscribed to Charter Communications. Charter Communications is one of the leading providers of high speed internet, digital cable and phone services. Since we have Charter, I keep in touch with my family using the internet. Almost every day we exchange video and instant messaging using Charter’s high speed internet service. Another worth noticing too is that we have not been to a movie theater for how many months now. Our movie nights are brought to life with Charter movies on demand. It is more fun and relaxing to watch your favorite movies at home with your family and kids without having to fight for parking. As a way of thanking its valuable and loyal customers, Charter is once again sponsoring a contest by simply submitting your story on how you bring your home to life. For this contest, Charter is giving away each week either a 15” laptop and at the end of the promotion which is on July 31st, one lucky customer will win a package of one 52” HDTV, a laptop and free one year of Charter Bundle including Digital Cable with HD and DVR, Charter high-speed internet and Charter phone services. This is not the first time that Charter is giving away big prizes to customers to its online contests. Last year, they also gave away laptops, Xbox 360 game systems and one 2009 Honda Civic Hybrid. It is just getting better and better each year. To keep yourself updated always, follow Charter on Facebook. Hurry and submit your stories at charter.com/yourlife and win any of these fabulous prizes. These awards were give to me by Ungkutan.com. 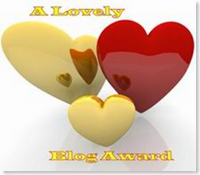 Thank you so much and also for being a regular ec dropper and visitor to all my blogs. I always try my best to return the favor. Big thank you again and hope you are having a fantastic weekend. Anybody can grab these awards. You all deserve them as well. Thank you so much Meryl of People, Places, Events, Good Food and My Life for this tag. *You do not have to be tagged to play along. The game is simple and so are the rules.1. Copy from *Start Copy Here* through *End Copy Here*2. Add your site(s) to the list. Just be sure to post at each site you add.3. Tag as many bloggers as you like so the list keeps on growing.4. 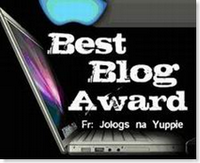 Let me know your blog’s name and url by leaving me a comment HERE. I will add you to the master list.5. Come back and copy the master list back to your site, often. This process will allow late-comers to get as much link benefit as the first ones in. 1. Emila Yusof 2. The Other Side of Emila 3. Mariuca 4. Mariuca’s Perfume Gallery 5. Meow Diaries 11. Unlisted One 7. Spiff, the Spaceman 8. My Sweet Escape 9. Nota Nurul 10. Life’s Tapestry 11. Spontaneous Insignificancy 12. LadyJava 13. Miss Igorota 14. AnnyBoo 15. Yoon See 16. Jia’s Life 17. Nessa’s Mumblings 18. Also Mommy 19. The Walk of Life 20.Pretty Firefly 21. Untouchable EARTH 22. Baterya 23. Comedy Plus 24. Bain Cardin 25. Strawberry Milkshake 26. Turn-U-Off 27. Jom Heboh Di Sini 28. Notes by Marvic 29. Memoir Mez 30.Origena 31.Walking Newspaper 32. Nurul Aqilah 33. Bluedreamer 34. Breaking the Boundaries 35. Life According to Me 36. A Great Pleasure 37. Time Goes By 38. Kancing itu Butang 39. In my Kitchen 41. Fyzal’s Territory 40. Wiggy’s World 40. A Simple Life 41. A Taxi Ride 42. Single Life of Me 43. Little Bits of Info 44. Ode to Adrienne 45. KMP 46. Simple Happy Life 47. Chuchie's Hideaway 48.Seiko's Diary49.Her and History 50.PLACES, PEOPLE, EVENTS, GOOD FOOD AND MY LIFE!50. My Careless Whispers 51. You! hopeful, tammy, kurdapya, gab's mom, ylan, greenman and YOU. Looking for an auto repair shop in California? Stop searching because at collisionrepairexperts.com you can find the nearest bodyshop in california just by entering you zip code. Collision Repair Experts has the largest network of collision experts that can repair and bring your vehicle to its original condition. Their goal is to make its customers safe by giving them quality service. Are you a collision expert and want to join this “best in class” network? As long as you are committed to give excellent quality work and customer service then you can be qualified to join. Just remember Collision Repair Experts company core values; trust, commitment, care and competence. Your car is in good hands with Collision Repair Experts. Do You Want To Win $1000 Moms? My daughter is starting to miss school and her classmates. She has been asking me when is she going back to school and I have been explaining to her about summer vacation but I do not think she has an idea how long a summer vacation is. So, to keep her busy and not get bored, I have been checking ParentsConnect.com for kid’s events and activities near our town. At first, I was calling the different boroughs here to find out what are the upcoming events for kids in our area but sometimes it is frustrating because you cannot get a live person to talk to. Thanks for parentsconnect.com, all you have to do is enter your zip code and you get a list of family friendly event in your area. This is also another way to find a daycare for your child. Here is another thing about parents connect. Are you interested in winning $1000? It is so easy. If you have website, twitter, facebook, blog or any social networking site, all you have to do is install the parents connect widget on your page and whoever gets the most number of views from their website’s visitors, you will win $1000. If you want more information, you can go to http://yovia.com/parentsConnect.html?CID=. 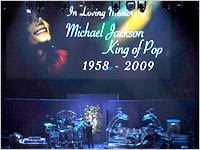 As I am writing this, I am watching Michael Jackson's Memorial Service at the Staples center in Los Angeles. It is streaminglive on cnn.com and a lot of other websites. It started around 1 p.m. eastern time or 10 a.m. west coast time. This is televised live around the with only 8750 lucky fans being able to see it live at the staples out of the 1.6 million who registered. One of our salesperson is having her hip replacement next weekend. She will be out from work for six months but after her therapy she can do some work at home jobs. This has been our project for the past days, setting up her computer at home, making sure that our software is properly installed at her home computer so that she can do her work without reporting to the office. When I was assigned to go with the group to her house, at first I was hesitant because I know that this person has a dog that sheds a lot. I am not allergic to dog hair but they trigger my sneezing that sometimes I get embarrassed when my nose turns red because of too much sneezing. When we arrived at her house yesterday, her dog was right at the living room and the whole house smells clean and fresh. As we were introduced to her dog, she started telling that her dog does not stink anymore since she started using the dog shampoo from dinovite called dogosuds. Dogosuds makes your dog smells so clean that lasts that contains 100% pure, therapeutic grade oils that have natural healing properties. It is also a natural flea deterrent with no chemicals, perfumes or fillers that can irritate or dry a dog’s skin. Dogosuds also removes your dog’s skunk odor. We finished our work without any sneezing from me. Dogosuds did a good job not only to the dog but also to the whole house. So if you think your dog has the same problem, try using dogosuds by Dinovite and have a nice smelling dog inside your house.